Steel with a groove tube?? If so, could be a number of different models..
Definite bargain, but collect only?? Assuming original paint, not that many models had black frame and ubrake = 92 Richter 8.0. If someone local could help with collection, this would be mine. Srsly. I was going to suggest a richter but from the really poor resolution pics on my phone, it doesn't look like a u-brake at the rear..?? Looking on my PC (although the photos aren't great) I'd say it's probably a U-brake. Being as it's obviously not original spec, I suspect I can make at least half my money back, including fuel for collection, by selling the bits I don't need. 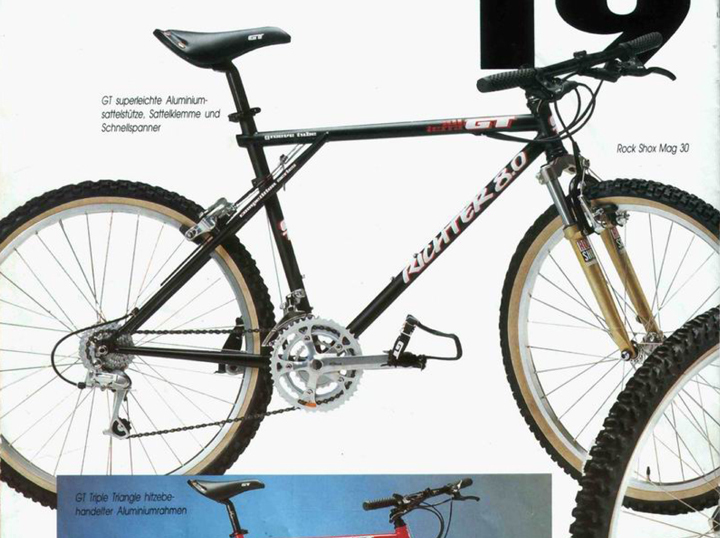 EDIT: Looks as though it has a sloping top tube, despite being over-forked in the pics - so possibly not a Richter 8.0? Also, the black finish doesn't look very original... Any other ideas?